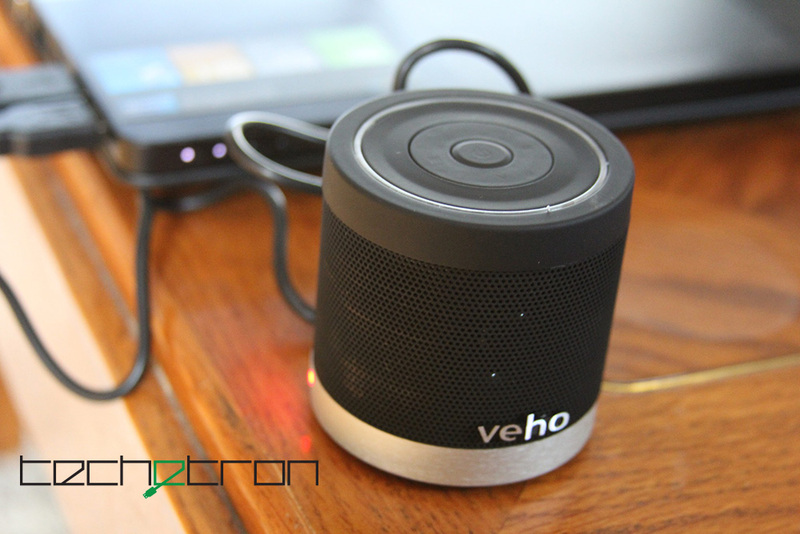 I have had the portable Veho VSS-009-360BT M4 wireless bluetooth speaker for a week and can confirm that the sound quality is clean, crisp and loud. This is particularly apparent when you max out the sound – the quality remains very clean. The battery life here is on the low-end, lasting only 2.5 hours of continuous bluetooth play on full charge. 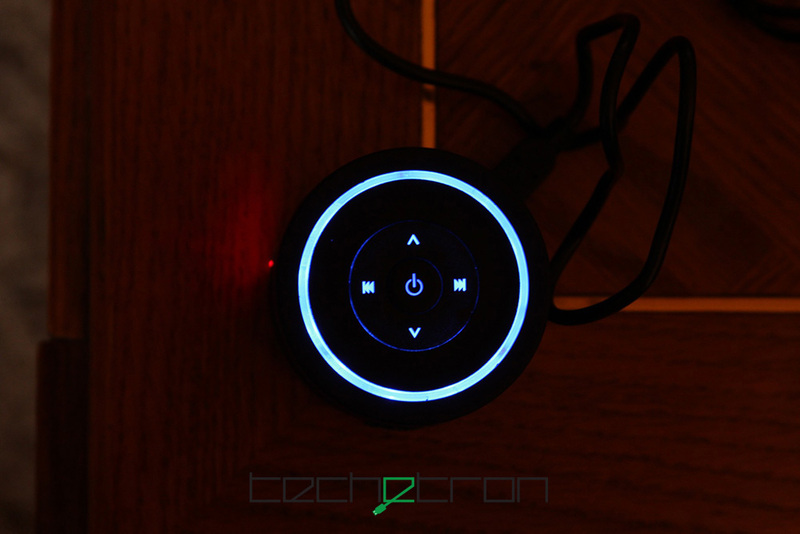 The speaker is great for playing music from a smartphone in short sessions, but you have to remember to keep it fully charged otherwise the next time you want to use it, it may die on you. Price-wise, the speaker hovers around the $30-40 arena, which is a tad bit expensive for the product and features you are getting. The design is simple and sleek, with the simple silver and black colour choice working well together. It weighs a little bit more than the average smartphone, but nothing to get into a fit over. The two speakers on the inside face opposite directions, creating the 360 sound, and are clearly visible when seen up close; again not that big of a deal. 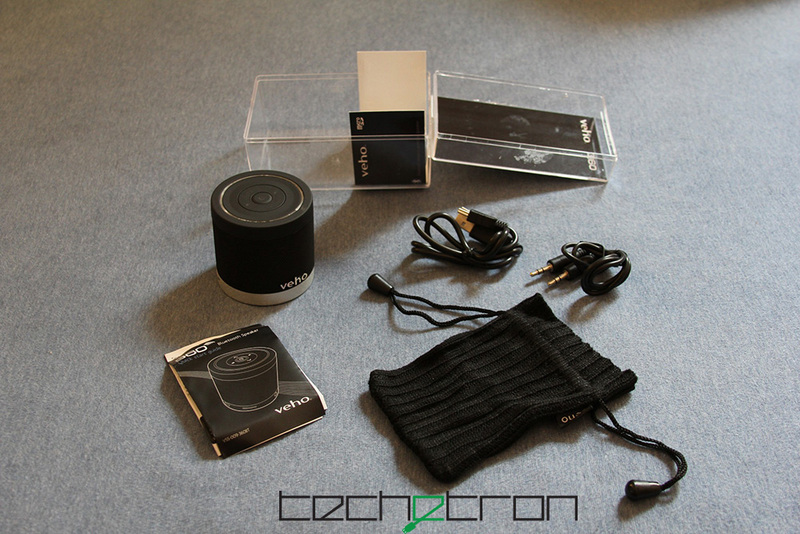 The Veho Bluetooth speaker comes packaged with a nice black, threaded carrying pouch, a USB charger that charges through a Mini USB port, and a 3.5mm stereo cable. The 3.5mm stereo cable is only 1ft. (about a ruler’s-length) long, which is not very convenient when I want to use my smartphone without having to move the speaker itself. There is also a MicroSD card slot for playing MP3 and WMA files. The developers clearly chose a black colour scheme here, however when it is turned on a blue LED ring of light lights up the buttons. It’s pretty neat, adds some character, and clearly shows when the device is turned on. A button on the bottom switches between the “bluetooth” and “MicroSD/Line in” options. The bluetooth feature had very apparent connectivity issues in the beginning. After fully charging it, when I tried connecting through my computer it didn’t recognize the speaker for a very long time. Maybe it was a first-time thing. Even so, my phone (an HTC Thunderbolt) took a very long time detecting and successfully connecting. After connecting with my phone, it took nearly a minute for the sound to come through. Similarly, if I have bluetooth on and turn on the speaker, it will take a full minute for my phone to recognize and connect with the speaker. I still have connectivity issues sometimes, mostly related to the time it takes between turning on and playing songs. I should also be noted here that when first connecting, it may ask for a PIN number, which for me was 0000, but it could also be 1234. Another neat feature is the ability to adjust the volume and skip songs from the speaker. It works with every application I have tried on the phone and computer, such as Windows Media Player, Itunes, Grooveshark, Songify. It’s not that complicated either, which makes it nice and easy to use. Furthermore, if you press the power button it acts as a play/pause button. Holding the power button will turn it on/off. The range of the bluetooth is decent, hovering around 10 metres at full extent. However if something does come between the phone and the speaker, such as a human body, it will definitely cut out the sound. It will not work between walls. Period. Don’t even try it. If left on without use, it will beep to remind me that I need to turn it off, a neat feature considering it’s short battery life. Let it be said that these speakers are great if you are looking for a portable smartphone-music player that delivers high-quality sound, but not much else. They will never substitute for a computer’s speakers, and the battery life isn’t great if you plan on keeping it on all day long – but in a pinch, they will work just fine. 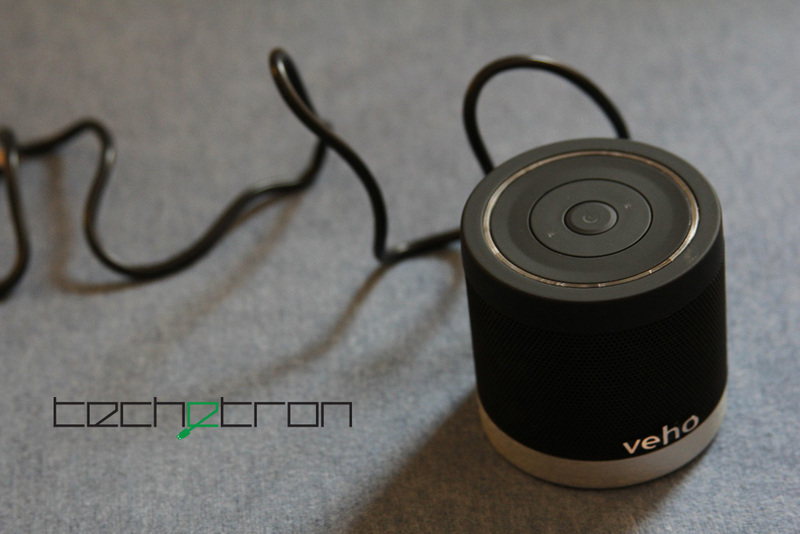 For the price, the product is a portable, nifty device that is ideal for sharing music from phones; however the Achilles heel is definitely the short battery life. If you’re looking for Nokia Lumia 1020 cases, head to MobilePhone.com now! Lots of great cases there! Brendan Pierce is a recent graduate of Macalester College. He loves swimming, gaming, reading, watching Breaking Bad and following up on the latest in the tech industry. Next year he will be serving abroad as a Peace Corps volunteer.